Whilst riding in Britain and doing a lot a the challenges here I realised the words of John Young. The challenge is more than just raising money. I went to places I usually would never visit. 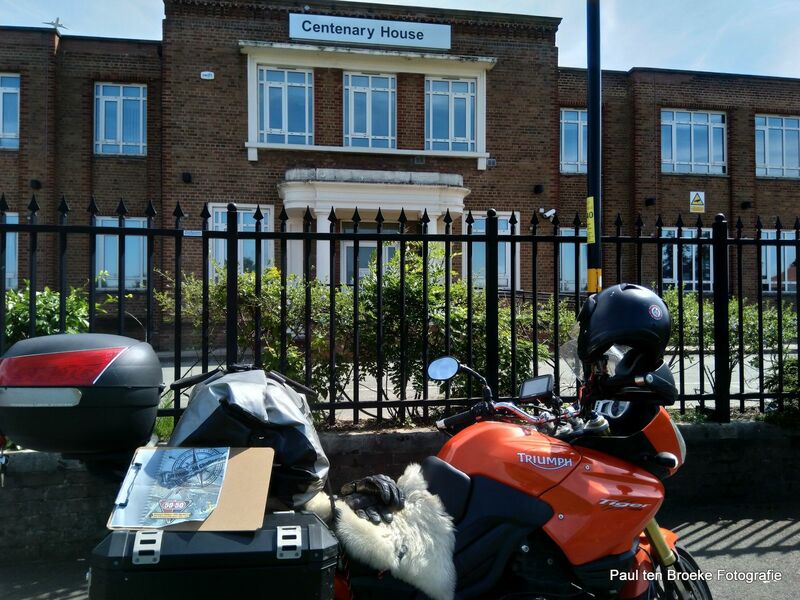 Who would go to the Industrial Estate of Small Heath to experience the downfall of British industry? Or visit the lovely Braunston Marina? In former visits I never really rode around the Birmingham area. 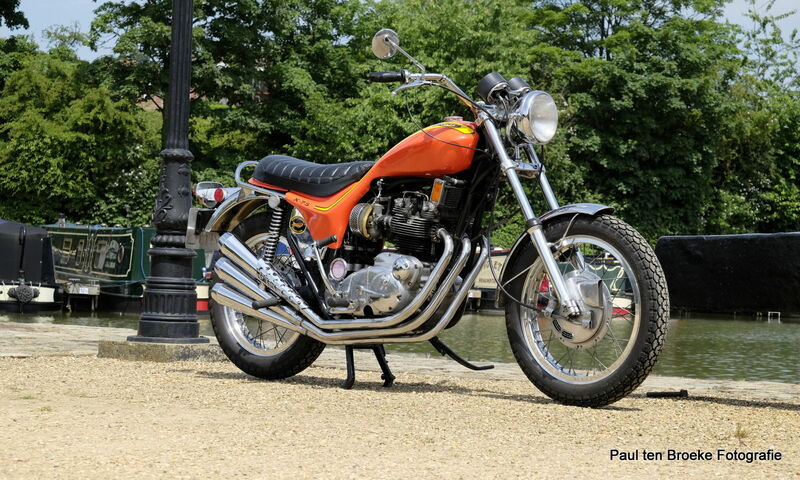 On the Michelin maps there were no green roads, it had no hill, let alone mountains. But it was really great to ride around the canals, the marinas, and riding the twisty roads. Realising that these roads could have been used to test ride all those famous bikes. 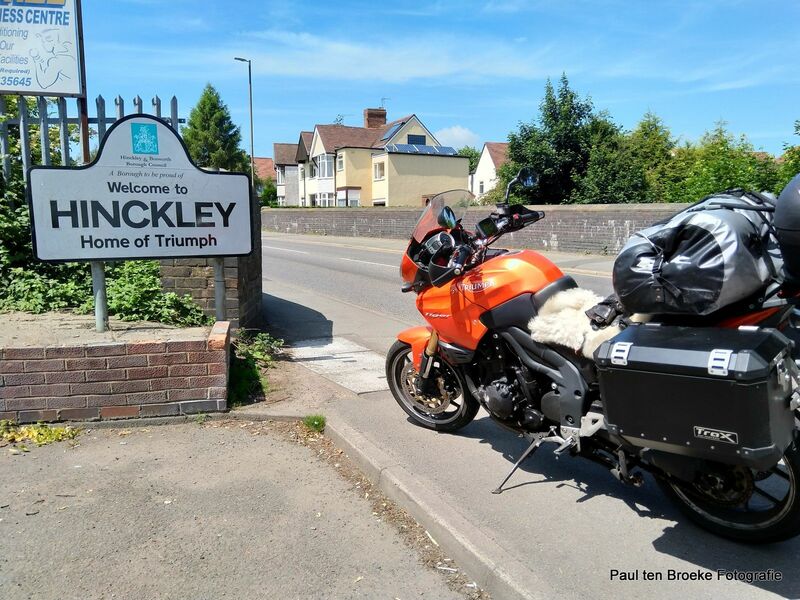 Also arriving in Hickley which is home of Triumph. 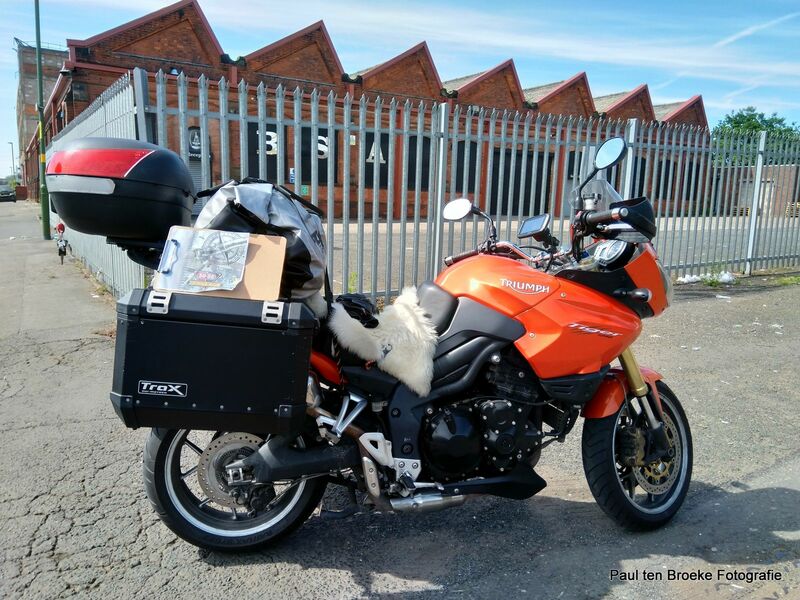 Apparently, riding on Hinckley Triumphs for a few years now and “only” because I rode Meriden ones, having the Triumph Factory in their vicinity means more than I anticipated, and I felt proud about it. 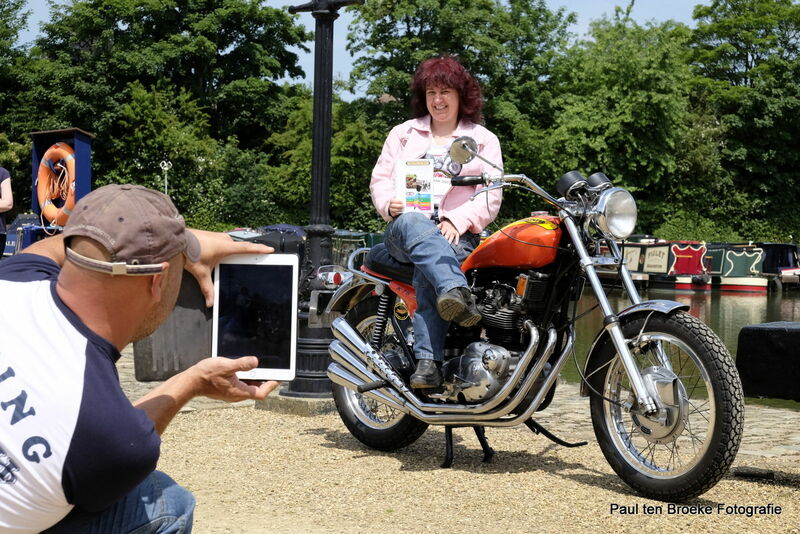 And without riding the challenge I would never been able (or thought about it) to assist in recreating a famous photo of the X75 in Braunston Marina. Assisting Julia and Shane in the WOW-challenge. 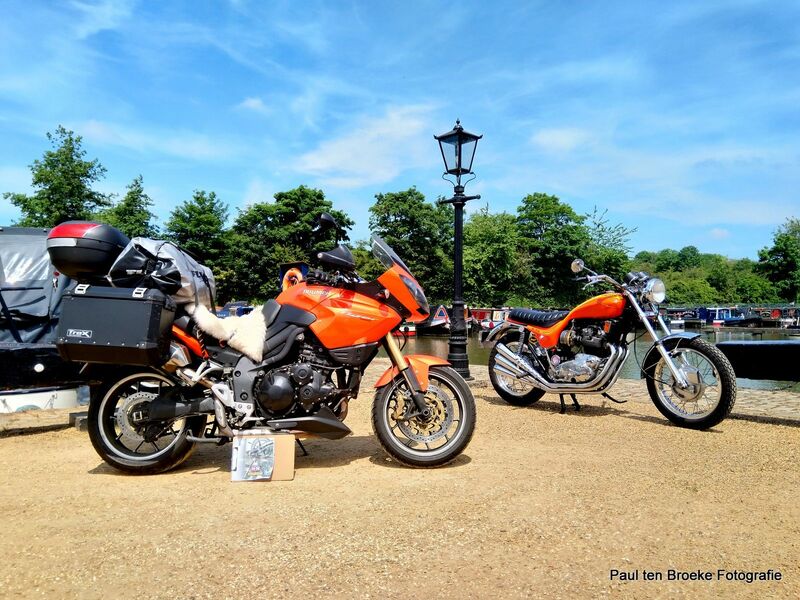 And also seeing that under the sun the colours of two so different bikes (my Tiger and Shane’s X75) is so similar that it was worth the Heritage Challenge. More to follow the coming days, some many nice challenge to go for.